There are used car dealers all over the place, so how are you supposed to know which is a good one to go with? Which one is going to give you the price you want, with the services you need? It is difficult to figure out which dealership to go with and trust that you will get a good vehicle. Thankfully, there are resources out there to help, plus a few tips that can make the choosing process even easier. Here are some tips to help you find the quality used car dealership you deserve. Just because you pass a used car dealership regularly, and there may be quite a few people there each time you pass, does not mean it is the best used car dealership around. Look around and see what options you have near your home or workplace. Some of them may run ads that get a lot of people on their lot during specific days of the week, or hours of the day. What you want to see is people there consistently, for no other reason than the selection of cars they offer. If you go past during off hours, such as outside of regular commute times, and you see a lot of people then, too, it can be a good indicator. Buying a used car means that you understand this car is not in brand-new condition. It may still look like new, and maybe even run like new, but it has been used before. It will need repairs at some point. By going with a used car dealership that has its own service department, they will make sure their cars are thoroughly checked out before being put on the lot for sale and take care of any problems that occur during warranty period. And many dealers without their own service techs will have a relationship with a local service shop to take care of their inspection and repair needs. There are a lot of places online that you can look at to see what a dealer’s ratings are from customers who have used them in the past. A great place to look for if a dealership has had any trouble is by looking up their Better Business Bureau rating. This will give you an idea of any problems the dealership may have had in the past, and how those problems were handled. When you have an idea of the vehicle, or even type of vehicle that you want, you should do some research on it. Find out the approximate value of the vehicle before you ever step foot on a dealer’s lot. Figure out if the different bells or whistles that you want are worth much, and if so, how much they would affect the approximate price. Look at the price of what it would be as a base model up to a fully loaded model, so you have an idea of what price range to expect. This kind of info is readily available at Kelly Blue Book and Edmonds That way, when you get on a dealer’s lot that you think would be a good one to work with, you know if their prices fall in line with what the vehicle is worth. If the price is in line with what you found, then you know the deal is good. If the price is too low, then there may be something wrong with the vehicle, or if it is too high, they may not be a good dealership to do business with. The same thoroughness should be followed when it comes to financing your car purchase. The single biggest factor that affects financing rates is your credit score. Other factors certainly play a role, such as your credit report, the amount of debt you have, and your income, but the actual credit score number is what the dealers usually look at first to get a sense of what type of financing and interest rate you would be eligible for. So, it is a good idea to find out what your credit score is and what your credit report looks like. You can get annual free credit reports from each of the three primary credit reporting agencies. Be sure to research the range of interest rates you can expect with your credit score. Used car dealerships that care about their community and reputation mean that they want to do right by the people who make them successful. If you find a used car dealer that is readily involved in what the community is doing, it shows that they care about their neighbors. Used car dealerships that want nothing more than a better bottom line will not put themselves out there as much. They won’t care about building a rapport with the people that make up their community. On the other hand, those that form strong bonds with the people that surround them are often much better businesses to work with. They do care about helping those around them and want to have everyone leave with a good feeling about them. Look for used car dealerships that have regular community events, or sponsor community events on a regular basis. They may sponsor things and groups like local 4H events, things for Boy or Girl Scouts, or even food or school supply drives. These are great signals that the dealership cares about more than how much money they get at the end of the day, which is precisely what you want. When you take all these tips and put them together, you are likely to find a good used car dealership in or near your area. You will get a good car or truck at an affordable price and be able to support a locally owned business. When you buy a used car or truck, it is important you feel as though you get a quality vehicle from a company that you feel comfortable with. We believe that by applying these tips, you are much more likely to get that. At Eden Autos, you’ll get peace of mind knowing that you got a vehicle and financing that best match your needs and budget. 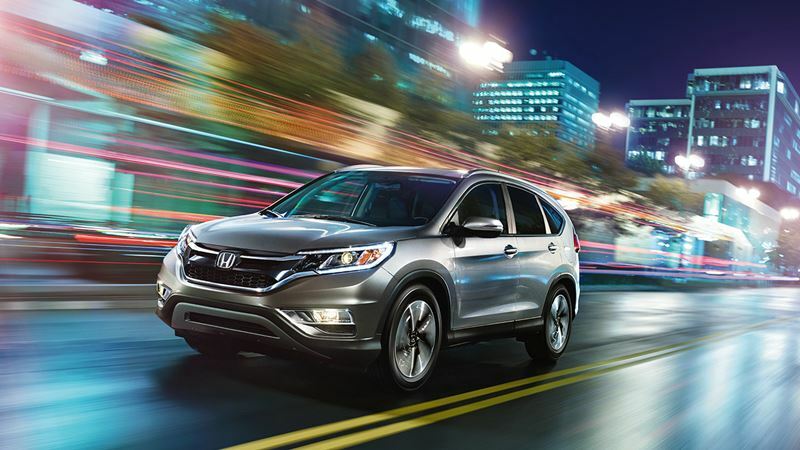 You’ll choose from an inventory of pre-owned vehicles that all come with 5-day Unconditional Money-Back Guarantee, a Free Carfax report, and a 3-month or 4500-mile Comprehensive Bumper-to-Bumper Warranty. Feel free to stop by any time and meet with one of our friendly, knowledgeable staff members. Should I Buy an Extended Warranty for the Used Car I Plan to Purchase? When it comes to buying a used car, it can be hit or miss in terms of whether it will cost you a lot in repairs, or if it will run for a long time with minimal maintenance and expense. However, what you can be pretty sure of is that the older it gets the cost of maintaining that vehicle will increase. That’s why buying an extended warranty at the same time as buying that used car can be such a good investment. Not all dealerships offer it, but aftermarket warranties are available if you do not have the option to purchase one at the time of your car purchase. When it comes to maintaining your vehicle, some parts, with proper care, can literally go on forever. Other parts may only last so long, which is what extended warranties are for. When you go to an automobile dealer and purchase a new car, they often provide what sounds like a pretty good warranty. However, there are little details that many car-buyers are not aware of right away. For example, most new-car automobile companies give you bumper-to-bumper warranties for a certain number of months or miles, then a limited warranty kicks in for some additional number of months or miles on just the drive train. That means, if your car breaks down during that extended period, the repairs may or may not be covered. But when you buy a used car, it’s very probable that the age and miles puts it beyond the manufacturer’s warranty, and you can be sure that something is going to break down at some point. When you opt to take out a full-coverage extended warranty with your used car purchase, if repairs are needed anytime during the warranty period, it will be covered. One of the biggest benefits of buying the extended warranty for your used car is that you have protection if something major, like your engine or transmission, needs repairs. The warranty will cover the cost of the repairs. Without that warranty, you could be stuck deciding between covering the cost of the repairs yourself, or having to buy another vehicle if the cost of repairs is more than the value of the car. If you decide on buying a new car, you may wind up with an expensive monthly payment that you didn’t plan on. Many people buy used cars to help keep their monthly expenses at a manageable level. If you are one of them, then this is a situation your extended warranty can help you avoid. One thing many people do not consider is how to keep an older running. If you are able to keep up with small repairs as they occur, it is going to stay running much longer than if you ignore them. As an example, let’s take a nonworking power window. If the problem is electrical, many people can’t, or don’t want to fix it themselves since it would involve taking the entire door panel apart to get to the problem, which can get quite involved and expensive, so they leave it. The problem is, this can cause other issues with the electrical system within your car. If left unrepaired long enough, you could wind up with a major electrical problem that might prevent your car from running properly. By having the problem fixed as soon as it happens, thanks to the warranty, you eliminate the possibility of the problem escalating. Depending on what you are looking to spend, and what you want covered, you have a lot of options when deciding on an extended warranty for a used car. You can go with the full-coverage extended warranty, which typically cover everything in the vehicle, bumper to bumper, for a set amount of time or number of miles. So, basically, if anything goes wrong in your vehicle, you can get it fixed with little or no out-of-pocket costs, depending on the deductible option you chose. You also have other levels of coverage to consider. If you want, you can get an extended warranty that simply covers major aspects of your used car, such as the transmission or the engine. This leaves out smaller repairs that may come up. This is good for people who are able to fix many of the smaller problems on their own, but do not have the tools, shop, or time to take care of more serious problems. The ultimate decision about what level of coverage you want is up to you and how much you are willing to pay. However, for most people, going without any sort of extended warranty for your used vehicle simply does not make sense. No matter what car or truck you purchase from our extensive inventory, Eden Autos gives you with a 5-day money-back guarantee, a free Carfax report, and a 3-month or 4,500-mile bumper-to-bumper warranty. And, of course, all of our customers are urged to get an Extended Warranty. We only sell GWC warranties, with options designed to fit nearly every vehicle and every buyer’s budget. GWC Warranty’s Used Vehicle Coverage ranges from protection for basic powertrain components to extensive coverage that rival manufacturer’s basic factory warranties. And your GWC Warranty works with a nationwide network of service facilities so you can drive your new vehicle worry-free. In the event of a covered mechanical breakdown, you can take your vehicle to any ASE-certified and reputable repair facility. Support and online resources are available in the event of a claim. 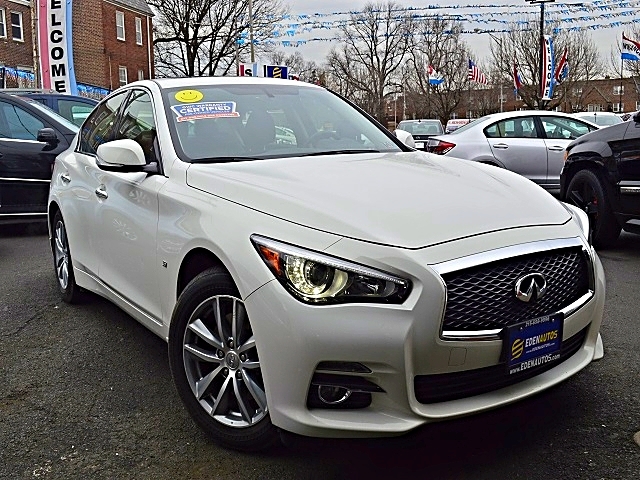 For more information about our vehicles, warranty choices, or financing options, our professional staff is always available to discuss it with you on the phone or in person at our convenient NE Philadelphia dealership.